Today in church we saw a preview of a documentary called "Call me Kuchu" which tells the story of the life and death of David Kato. 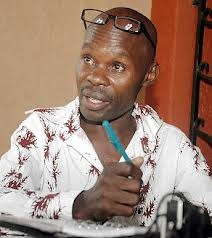 David Kato was a Ugandan man, trained as a teacher and was gay. He was killed as part of a government sanctioned clamping down on homosexuality in Jan 2011. He has been likened to the African gay equivalent of Martin Luther King Jnr for black rights in the USA. Kuchu is the Ugandan word for gay. The theme for church service today was that all are included in the love of God so this was not too far from the bible readings . . .